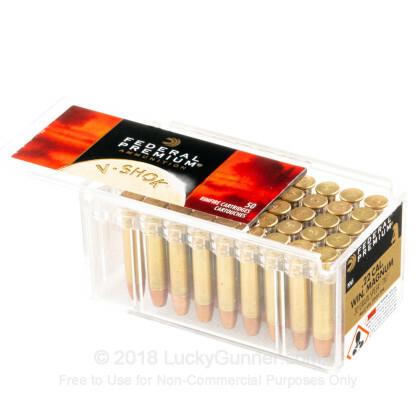 Federal's Premium TNT 22 Mag ammo is the perfect choice for hunting prairie dogs! 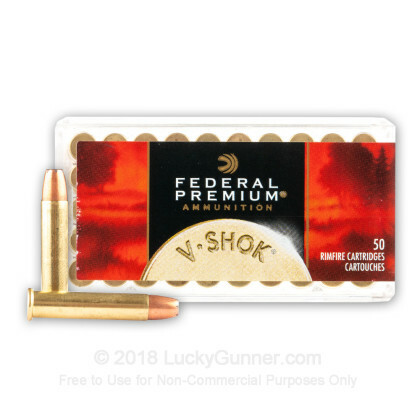 This ammo delivers an ultra-flat trajectory with devastating performance on impact. 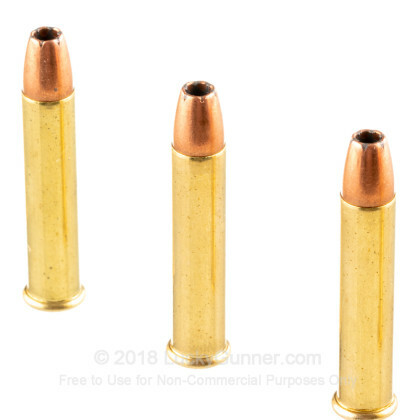 The TNT projectile made by Speer has earned a reputation in the field for reliable, controlled expansion time after time. 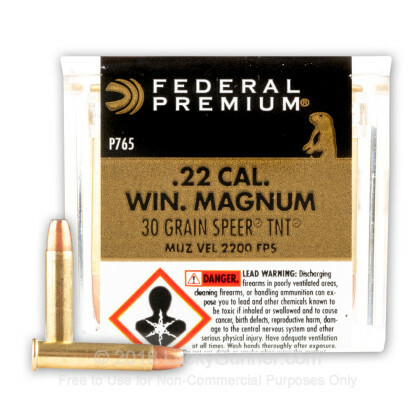 We don't have any reviews yet for this particular .22 Magnum (WMR) ammo from Federal. 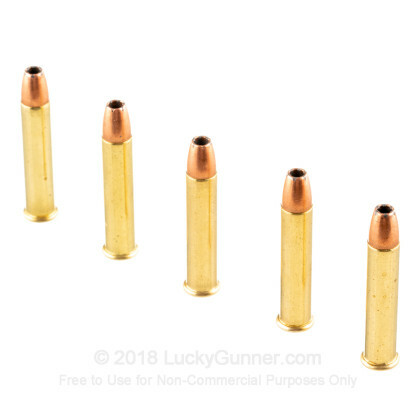 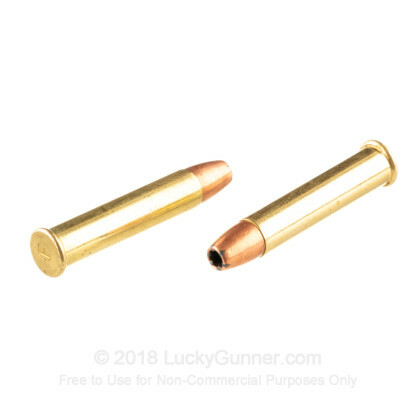 If you'd like to be the first to review this particular .22 Magnum (WMR) ammo from Federal, fill out the form below.